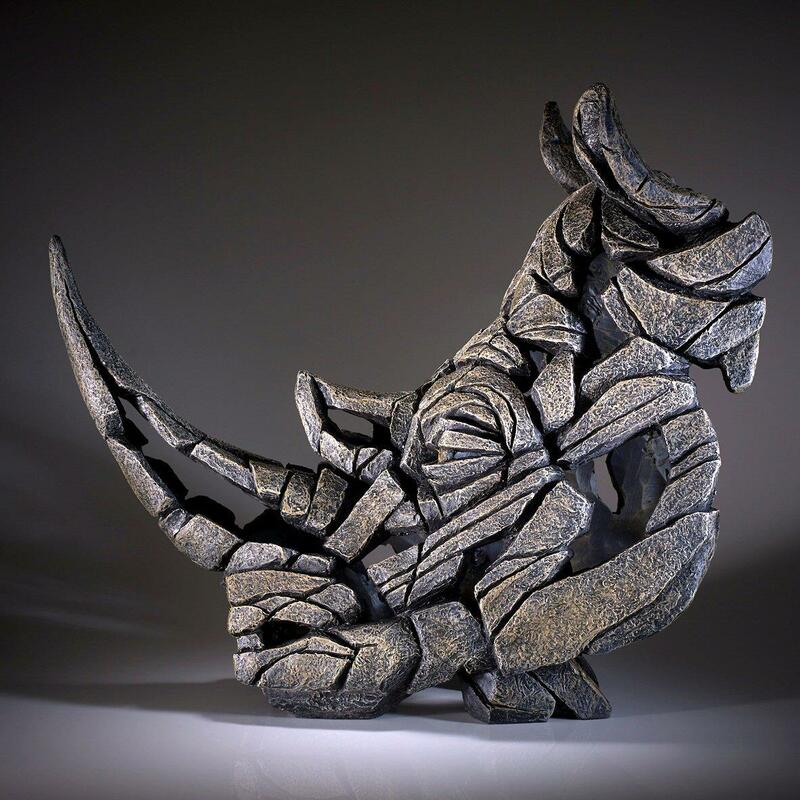 Spectacular Rhino bust sculpture by Matt Buckley from the EDGE collection. 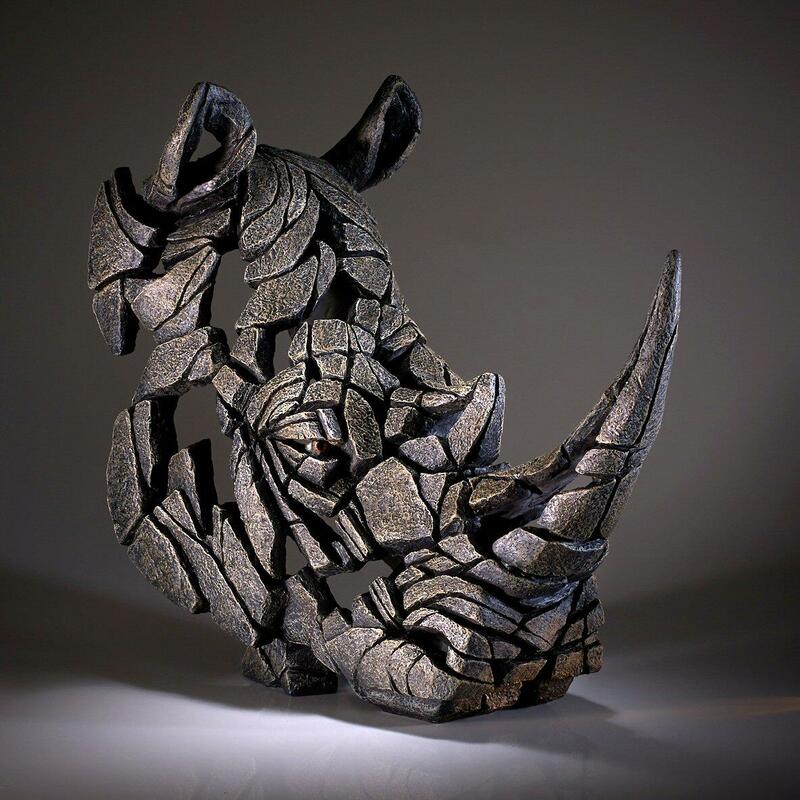 The largest land mammal after the elephant, the magnificent rhinoceros is one of the the most endangered species in the world and is a rare sight indeed. 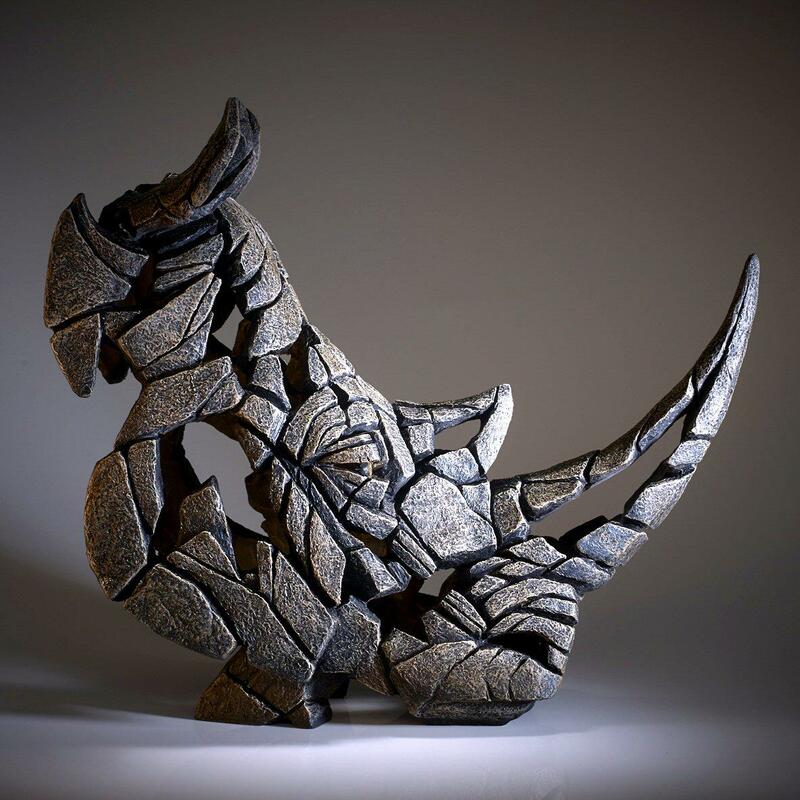 Matt Buckley's sculpture captures perfectly the power and character of the Rhino - a striking centre piece for any room. 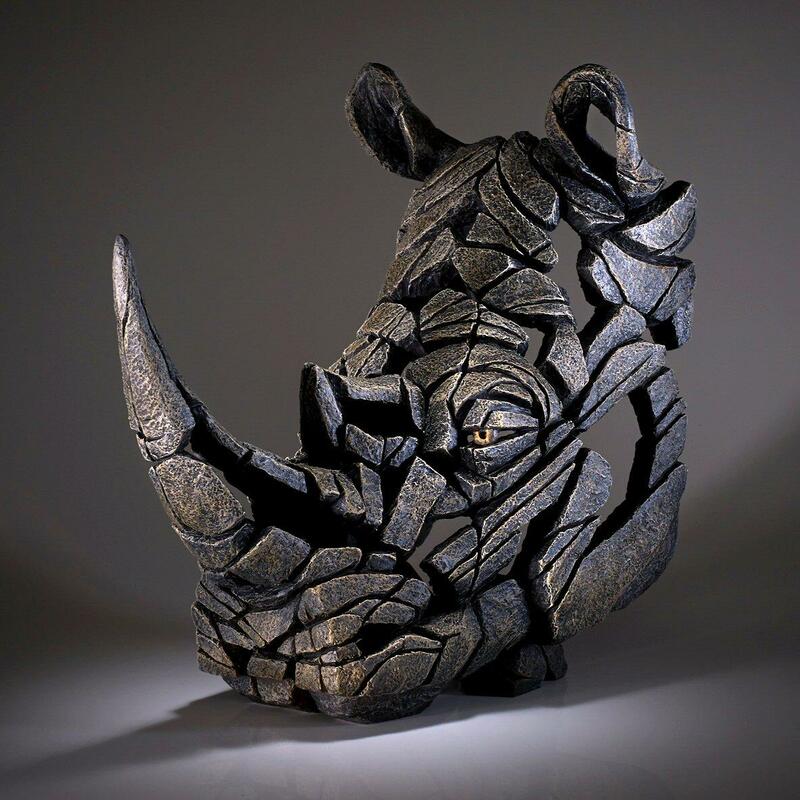 This sculpture is finished in grey/brown tones that suit the subject well but there is also a version in white/light grey colours - Rhinoceros Bust White EDB07W and one in a special York stone finish suitable for outdoor display - Rhinoceros Bust Stone EDB07S.